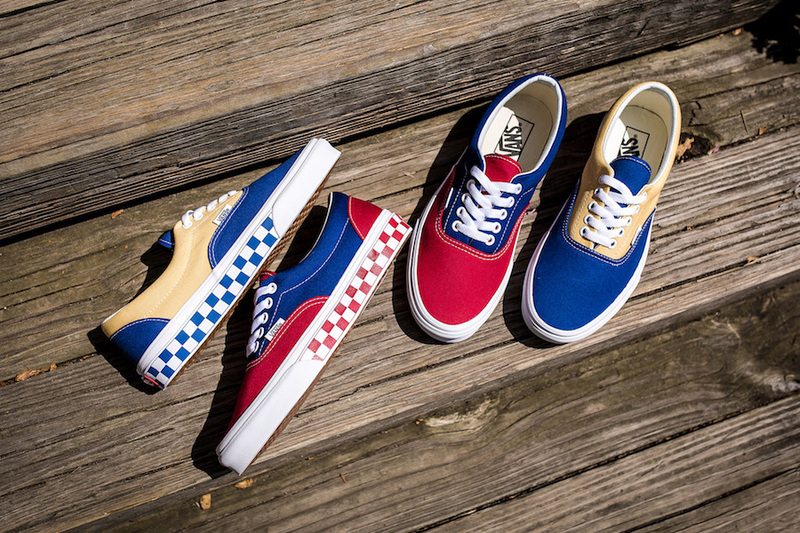 Vans releases their “BMX Checkerboard” Pack that includes two new color ways of the Vans Era silhouette. 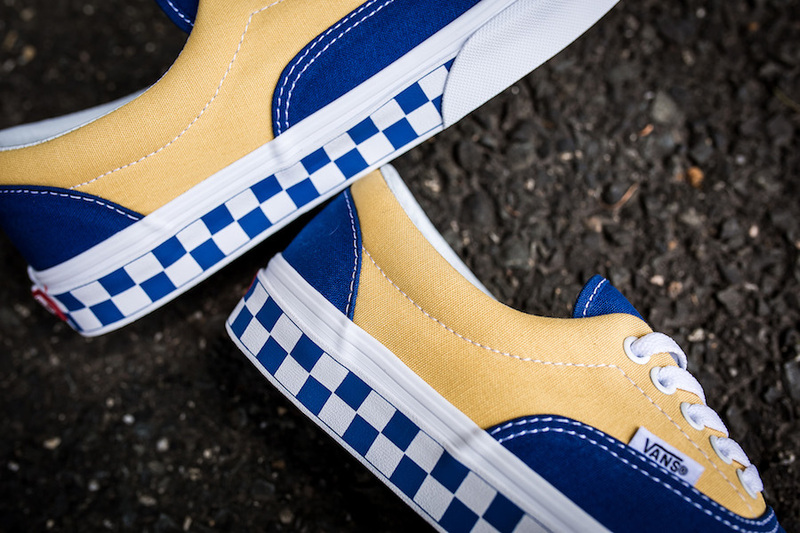 This pack features the color options of True Blue/Yellow and True Blue/Red. 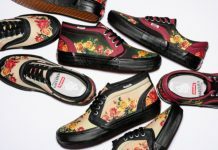 Both come with canvas uppers atop a White midsole that features their accented color with checkerboard print. 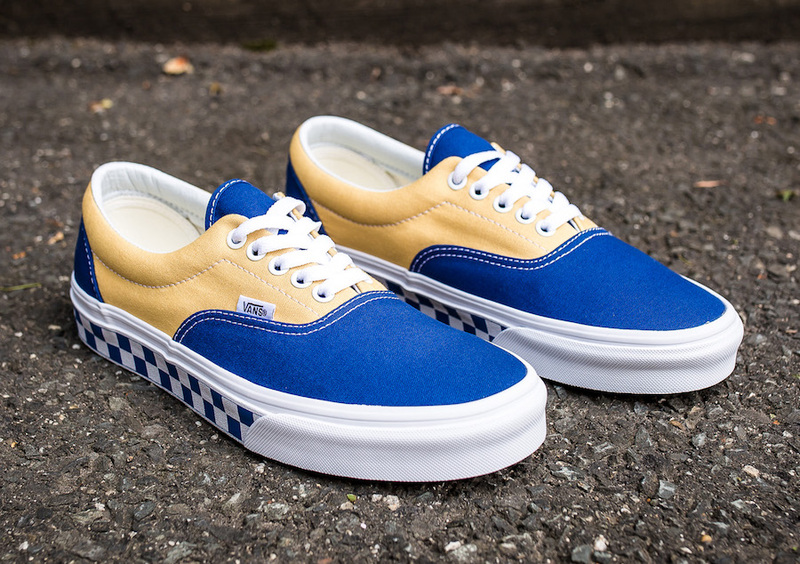 A Gum waffle rubber outsole finishes the signature Vans design. 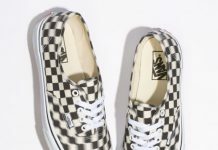 The Vans Era BMX Checkerboard Pack is now available at select retailers like Packer Shoes with the retail price tag of $55 USD each.